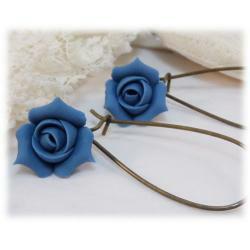 Blue rose bud hair flowers for your hair in many colors. 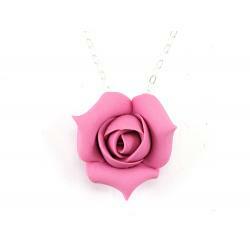 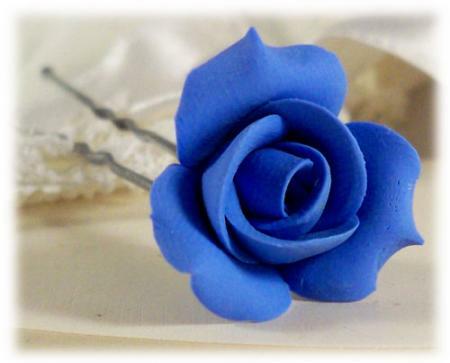 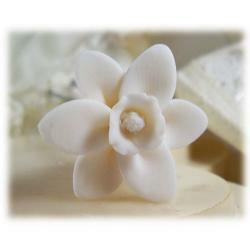 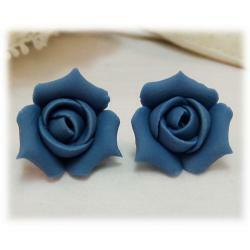 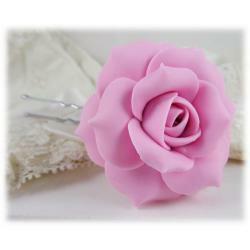 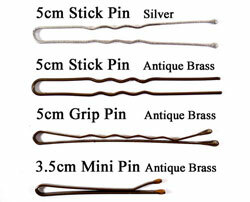 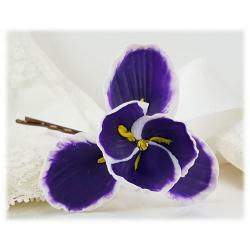 This hand sculpted 3/4 inch blue rose bud hair pin on your choice style hair pin. 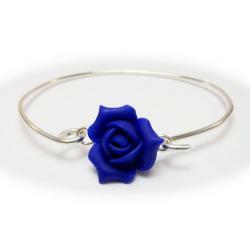 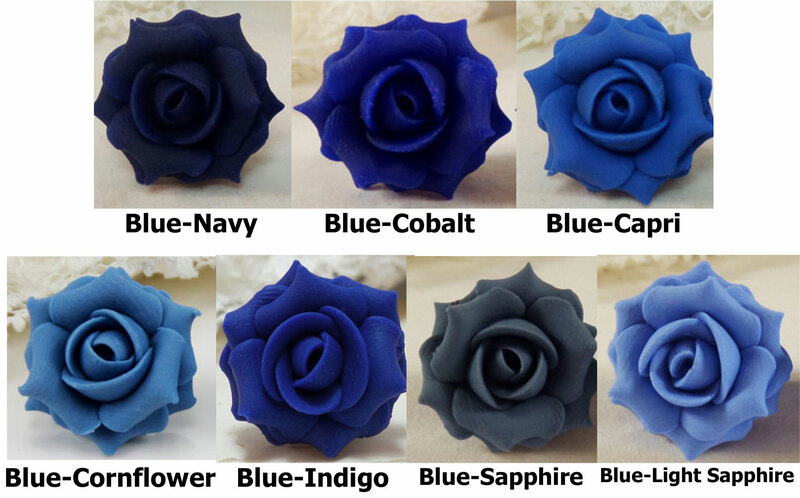 These blue rose bud hair flowers are available in assorted shades including cornflower blue, navy, cobalt and sapphire.